Jacket: Classic fit. Two button, single breasted. Side vents. Angled pockets. Five interior pockets. Four-button cuffs. Fully lined. Dry clean only. Composition: Super 110's Merino Wool. First suit bought from Brooks Taverner and won't be the last. Very impressed with the quality and delivery. Suit size is good and the quality of the wool. Overall would highly recommend. overall experience very good, website easy to use suit is well made, nice quality, well packaged and service excellent. As usual, a lovely suit. This is the ninth suit that I have purchased fro Brook Taverner. I would say that the fit of the trousers on the classic fit is slightly larger than I would like, and I always have problems with the buttons coming loose/off, but I wouldn't buy anywhere else. now considering my 10th ??? Having had many suits made-to-measure, this was a good fit and excellent value for money. At the sale price, this offered very good value for money and service was likewise very good. However, quality was not as good as my previous purchase, mainly because of a lighter material, but also lacking some attention to detail. I agree with the comment elsewhere about the inferior fitting of the buttons and some general threads that were not top drawer. Overall , I would have been disappointed at full price, though, at sale price I was pleased. Too good an offer to miss! Good quality, well made, every-day suit at a competitive price, delivered promptly with problems So good that I have just purchased another! The suit was perfect in fit, style and of excellent quality. 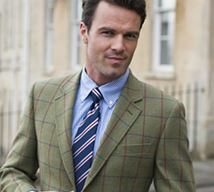 I have purchased clothes before from Brook Taveners and they were all of top quality and fit. I have been very pleased indeedand as it happens I purchased an Otley Blazer yesterday as well . I should have done this immediately after purchasing the Epsom suit a I could have received a 50% reduction! A good quality suit, at a great price, my fourth suit purchase from you. A slight problem though, can you try to improve the fitting of the buttons. This purchase and the last one had buttons falling off within a couple of days' use. A minor quibble, though, I'll still be back! A quality item, comfortable and smart. I am sorry that I cannot review the suit as I am still waiting for the jacket and trousers. I can comment though that the blue pin striped suit that I bought is now my favourite and such excellent quality. A superb bargain at the discounted price. Delighted with the purchase. Very good suit. My husband is delighted with the quality and fit of the suit. Extremely good bargain, and well presented and packed - good example to the trade. My good luck was to find this suit offered at amost a 50% discount. Nevertheless, I found that the suit fitted well, and I am rather large and tall to boot. It is a smart suit, and even kitted out with its own storage bag. I havenot bought a suit for many years now, as many seem overly-expensive - but even full price this is a good suit at a bargain price, and highly recommended. The suit arrived in good time and in good order. 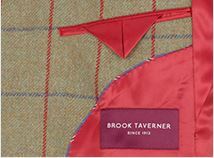 The quality and fit is very good and I would happily buy from Brook Taverner again. I was nervous about buying clothes online but cannot fault the service, delivery or quality of the suit and the price is extremely competitive as well. I like the comfort and it has earned several positive comments. I have had one of these suits for more than three years. Stylish and hard-wearing it is a good fit - and I knew that the sizing is so good that this new one fits as well as the previous one, without any difficulty. Quality and style combined! What's not to like?! Well made and great value. Lovely quality cloth, nicely cut, consistent sizing with fine grades to get an excellent fit. Second one of these suits I’ve had and they are a great fit, wear quite well and look the business. This is a good quality suit at an appropriate price. As an 'off-the-peg' the fit is as good as can be expected - (the 'fit' has more to do with the shape of the wearer than the shape of the suit!) 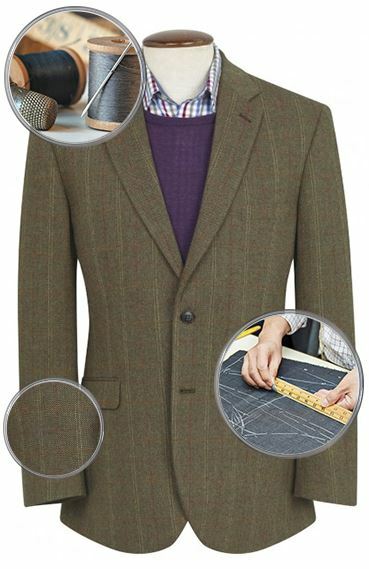 That jacket and trousers are supplied separately as individual garments is a great advantage to those who are perhaps not of absolutely standard size. Really nice suit. I already had the navy version so knew it would be good and it didn't disappoint. Very pleased with it and at the special offer price very good value for money. Good quaility, well made and smart. Smart, comfortable and well tailored. Lovely fit and cut from excellent material. This is an exceptional suit. The cloth and the cut are both first class. Our classic fit jackets are traditional and timeless. Roomy and comfortable, this style transcends trends and fashion, remaining the right choice for any occasion. Sleeves on your suit jackets and blazers should always fall between a quarter inch and three-quarters of an inch above your shirt sleeves. Anything longer, will take away from the polished look of a classic fit. The classic fit suit jacket is cut generously for a comfortable yet elegant fit across the shoulders, chest and torso. Although roomy, be sure the jacket is not too large. 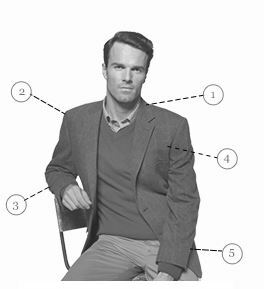 Shoulder seam should meet the sleeve of the suit right where your arm meets your shoulder and the jacket should close without pulling. 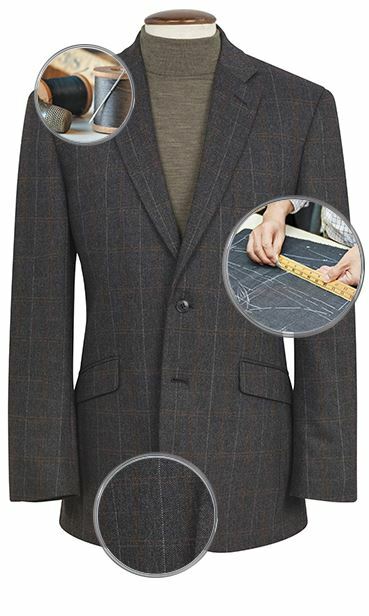 The classic fit jacket length is slightly longer than the tailored jacket and the lapel is standard width.